Do you love the idea of working with children? 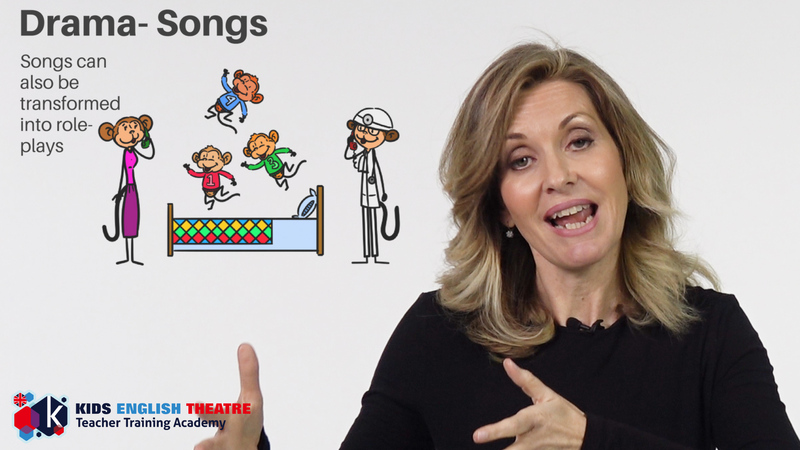 Ever thought about teaching children English as a second language through drama but never knew how? 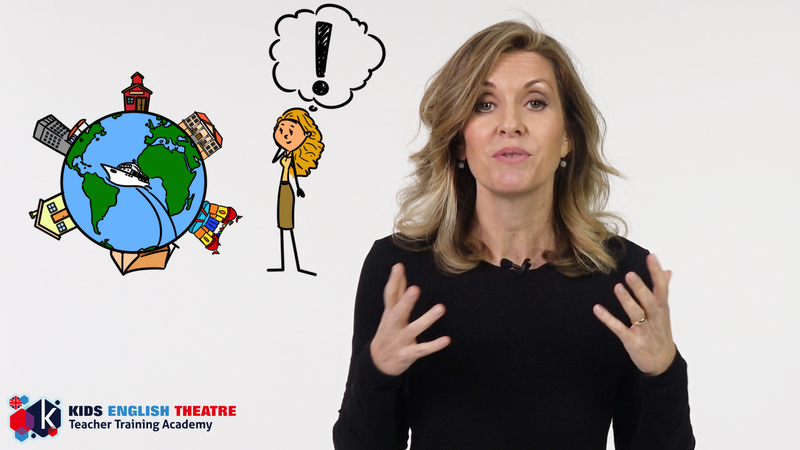 ﻿What is The ESL- Drama Teacher Training Video Course? 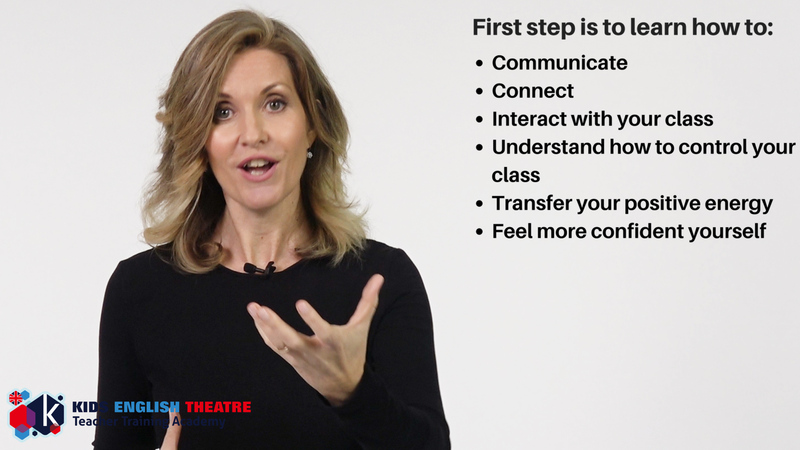 The video course (total approx one and a half hours) offers an introductory training programme, aimed at giving both professional and newbie ESL (English as a Second Language) teachers, a headstart on how to teach young learners English through drama and play. Who is the video training course for? Experienced English language teachers looking for inspiration and creative ideas using theatre techniques to stimulate their students and make their English instruction exciting, original and fun. 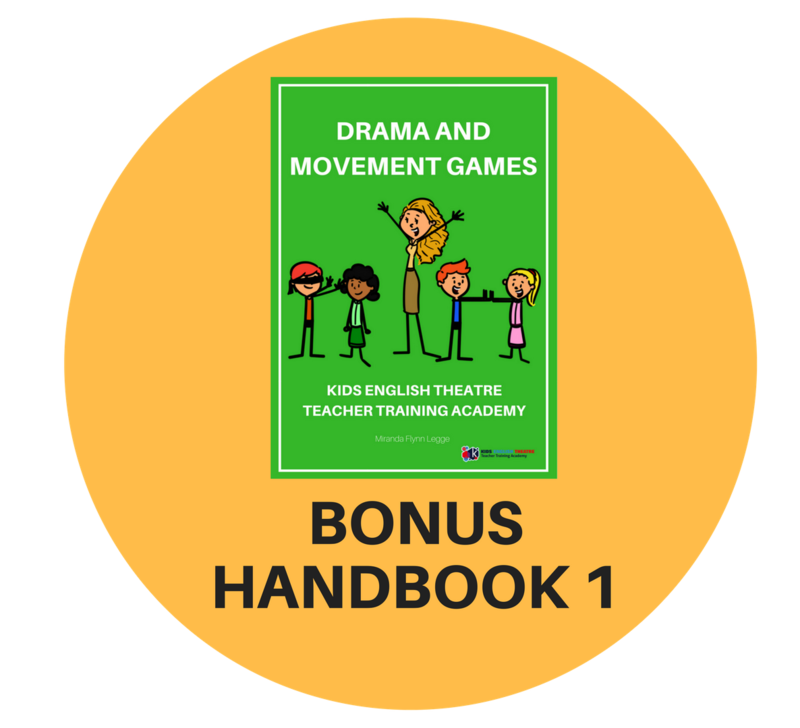 Those new to the profession who have an excellent knowledge of English and a strong motivation to teach children but need professional guidance and support in developing their understanding of teaching English through drama and play. 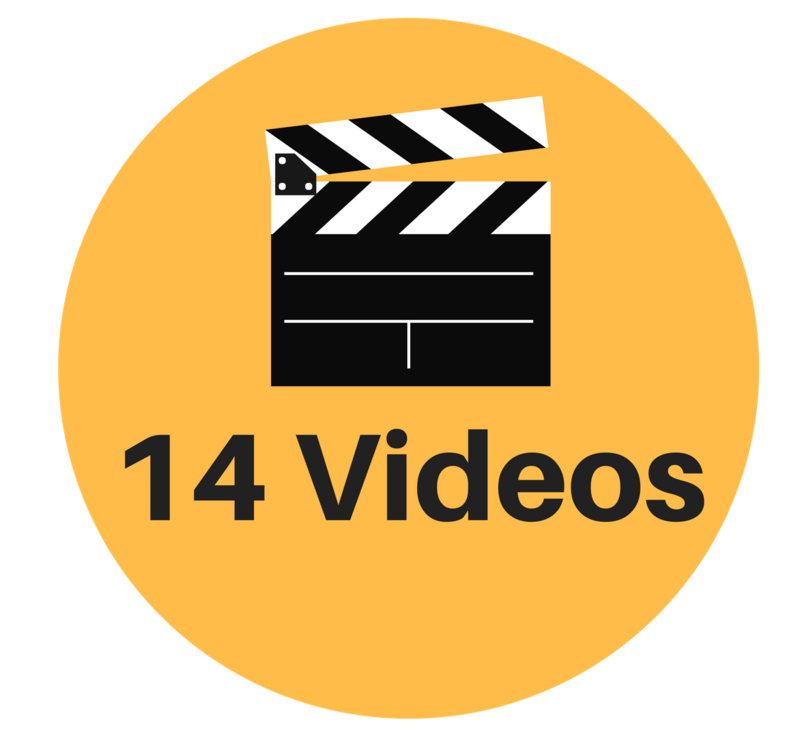 Who is the video course not for? It takes study and a good deal of practical experience to become an English Theatre Teacher. 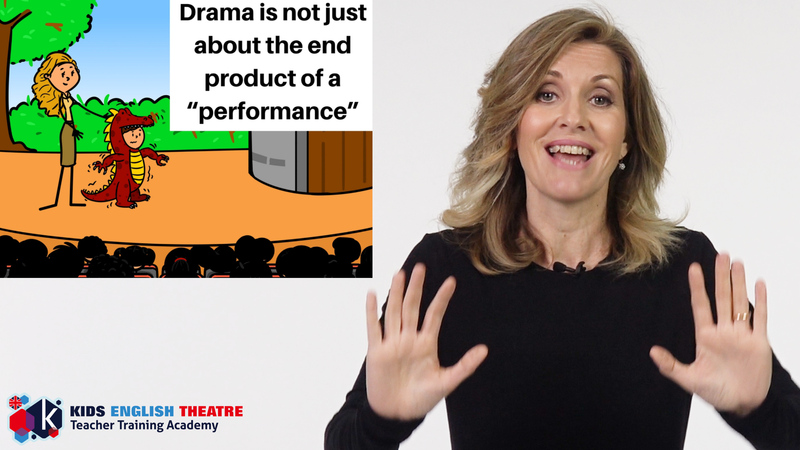 This video course gives you useful start-up tips to teaching children English through drama but it will not magically transform you overnight into a teacher expert. 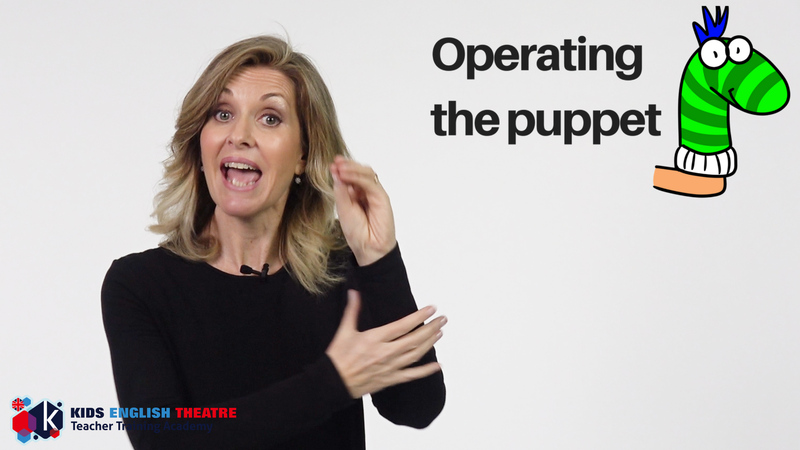 If that is what you’re looking for- this video course is not for you. 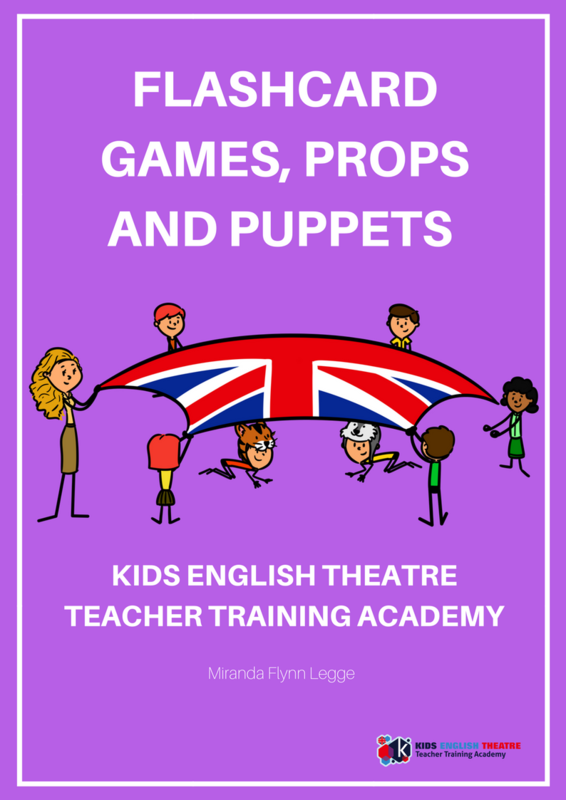 What is Kids English Theatre Teacher Training Method? The K.E.T. 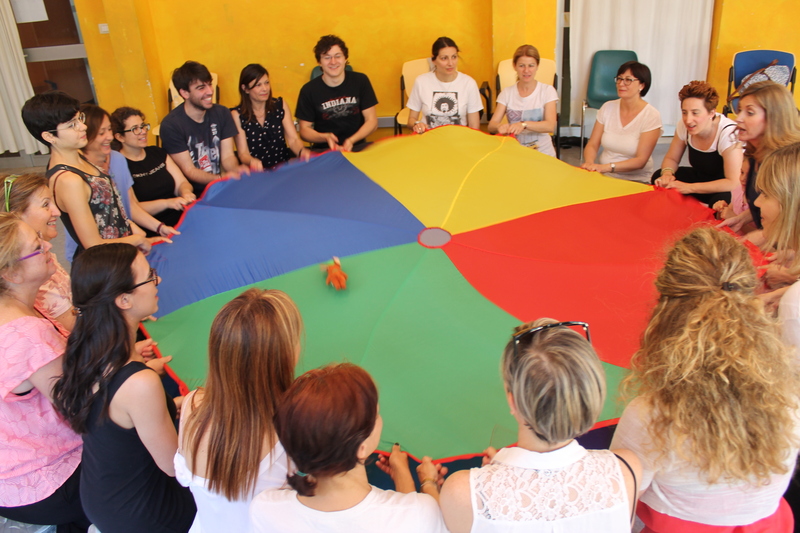 method is aimed at boosting child development in English as a Second Language (ESL) using theatre-based techniques, games, and movement. 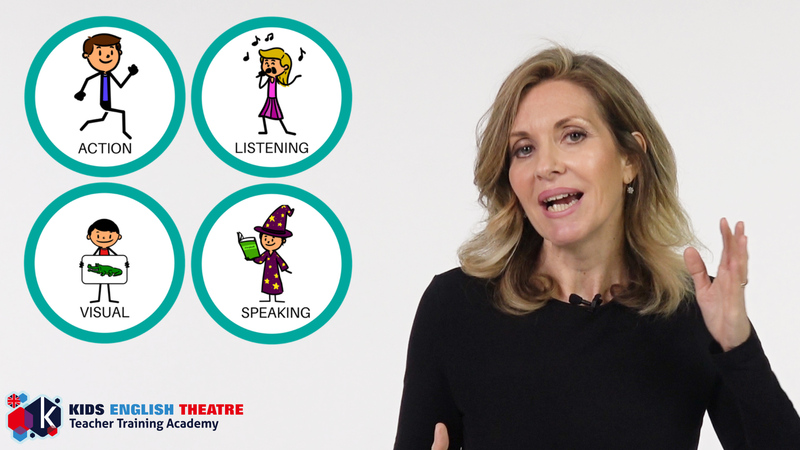 By following the ESL - Drama Teacher Training Video Course, you can discover how to become a more confident, creative, and engaging communicator of English. You will also learn simple proven techniques that will energize your lessons, make your teaching enjoyable and rewarding, and above all, help your children learn English super-fast. Who is the Teacher Training Video Coach? 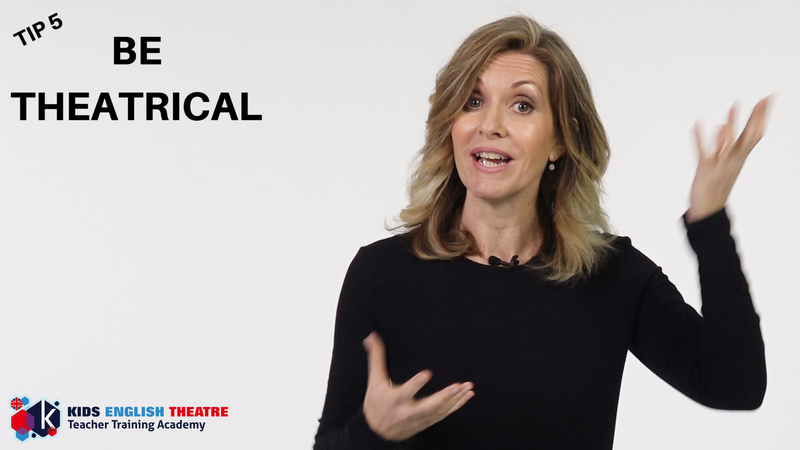 The video course is presented by Miranda Flynn, professional actor with a diploma from The Guildhall School of Music and Drama in London and accredited English language teacher with a CELTA Certificate from Cambridge University. 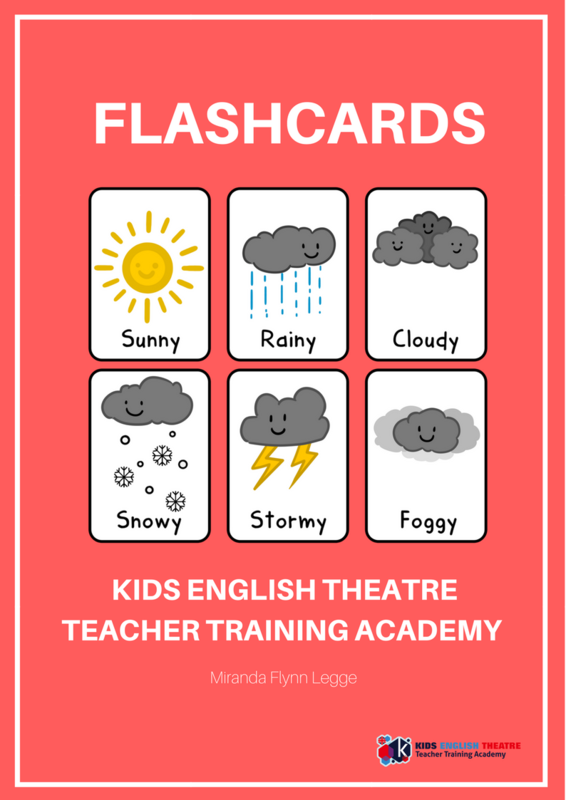 Miranda's pluriannual experience in teaching children using the Kids English Theatre Method has shown her how children learn best, how they learn fastest and what they find most enjoyable. All her drama games, role-plays and stories have been researched and developed over the years. And she constantly devises and experiments new ideas and activities to accompany lessons, concocting new language games and elaborating skits and role-plays. Most importantly, all her exercises have been successfully tried and tested in classrooms. She can therefore, principally help you to save time organising your lessons, balancing your activities and guide you to develop ideas that will make your lessons creative and a success straight away. Curiosity is a compelling quality that all children own. Curiosity drives children to learn, explore, and experiment everything that surrounds them – this is the main reason why children make ideal language learners. The secret to teaching a second language successfully is to fuel a child’s curiosity and keep it burning bright. This is not an easy endeavour, particularly because children have short attention spans and difficulty focusing for lengths of time. Curiosity can be continually stimulated using a multisensory approach and appealing to children’s different learning styles. 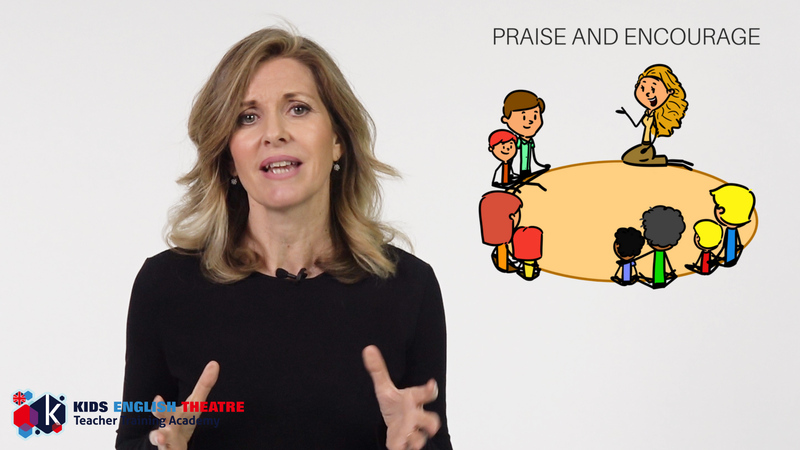 Theatre and play provide ideal instruments in helping children focus their energies and improve their communication skills by learning actively and creatively. 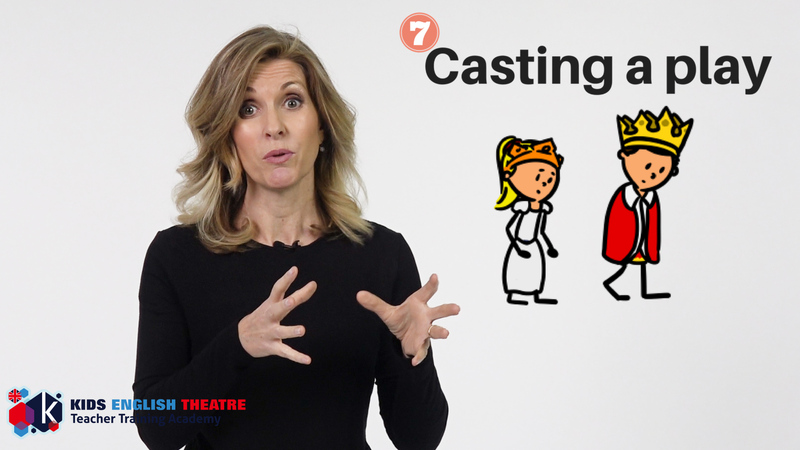 With the Video Course, you will learn that by adopting some simple theatrical techniques, you can interact and energize children and make your English instruction active, fun, exciting, and above all, totally unique. In other words, you can make an impact in a child’s life while doing something you enjoy. It’s a win-win arrangement. How the video course is structured? 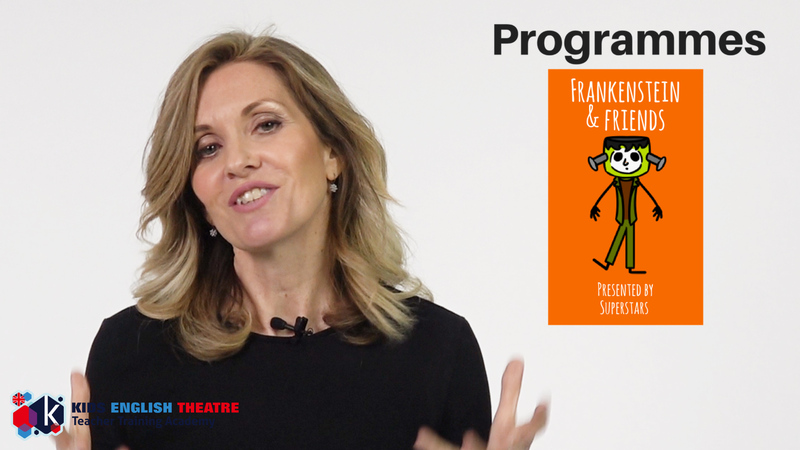 The video course (approx one and a half hours) is an introductory training programme and provides simple steps on how to teach young learners aged 3-10 years through theatre, fun and games. 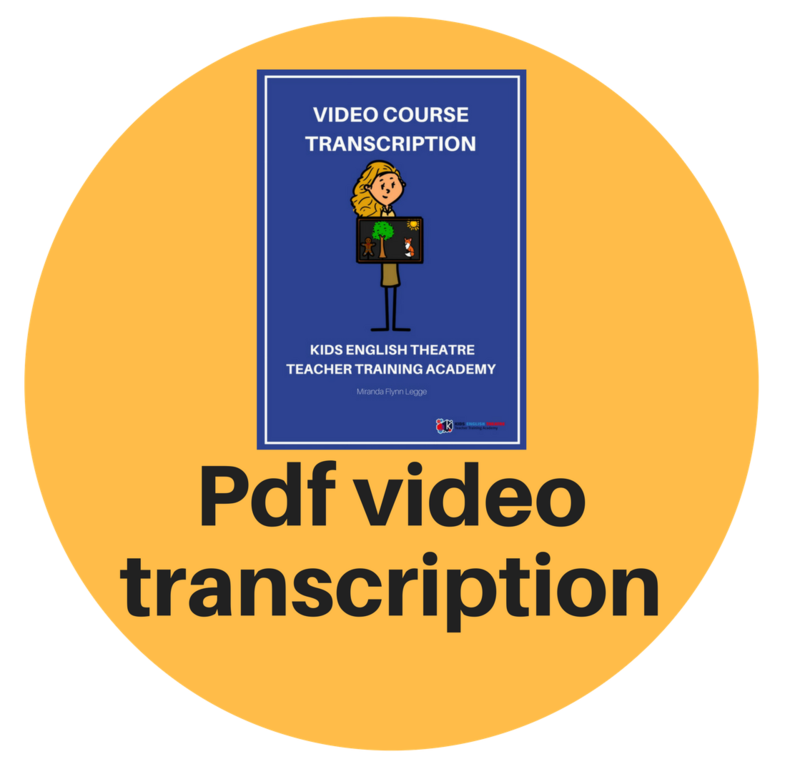 You can access and watch the video course from the comfort of your own home on your pc, cell phone or tablet, whenever or wherever you wish simply by logging into your K.E.T. account. 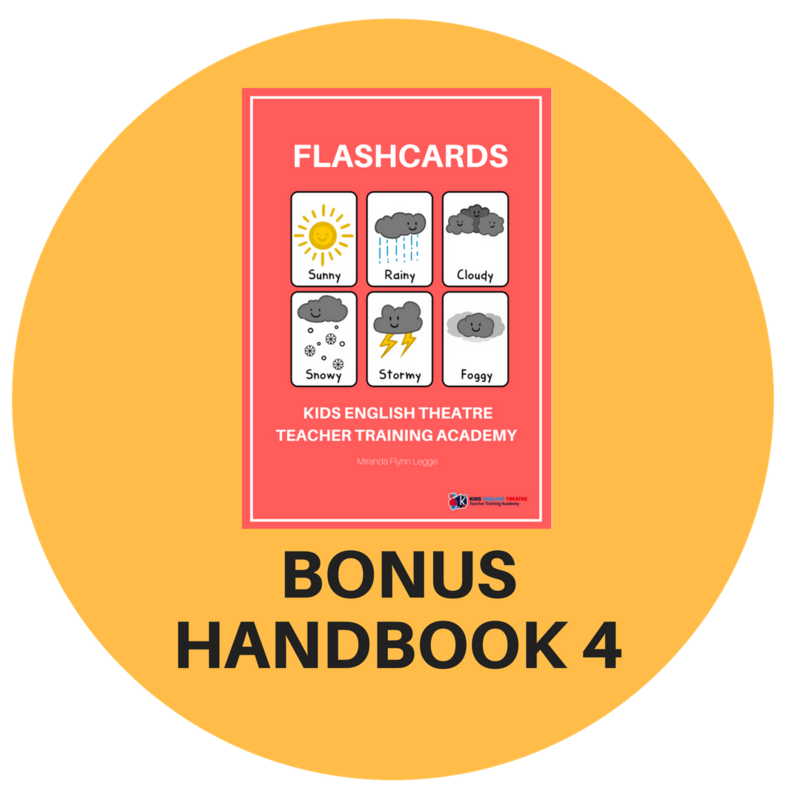 ﻿Included are also 4 Essential Teacher Resource Handbooks - brimming with fresh, uncomplicated, tried and tested drama activity ideas, games, flashcards and comedy sketches and performance guidelines - all clearly organised and ready for you to put into practice with your children straight away! 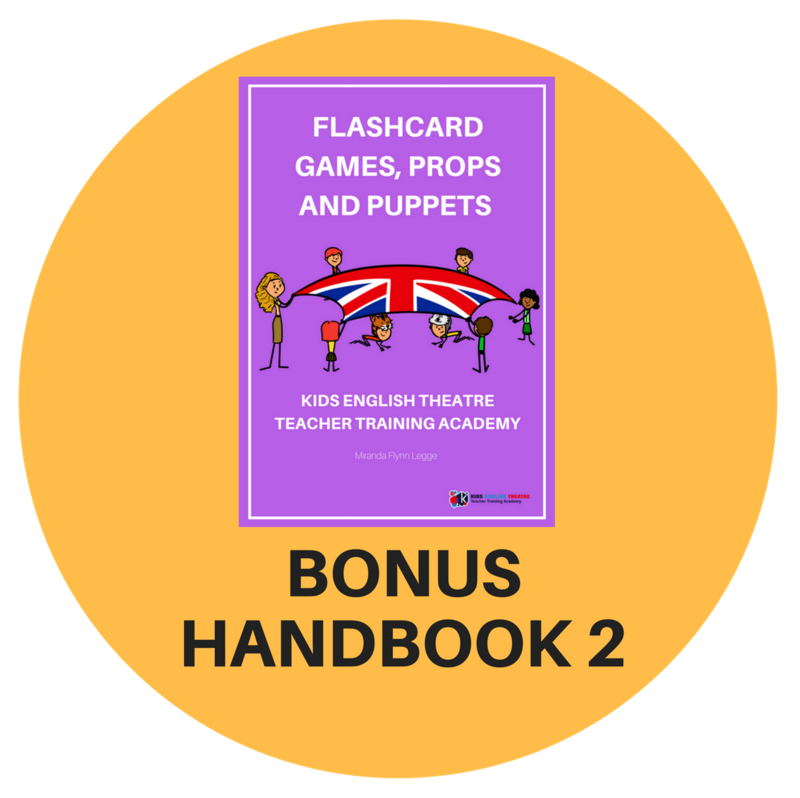 All the activities included in the Handbooks are designed to save you time preparing and structuring lessons on your own so you can simply get on and enjoy what you do best…teach! 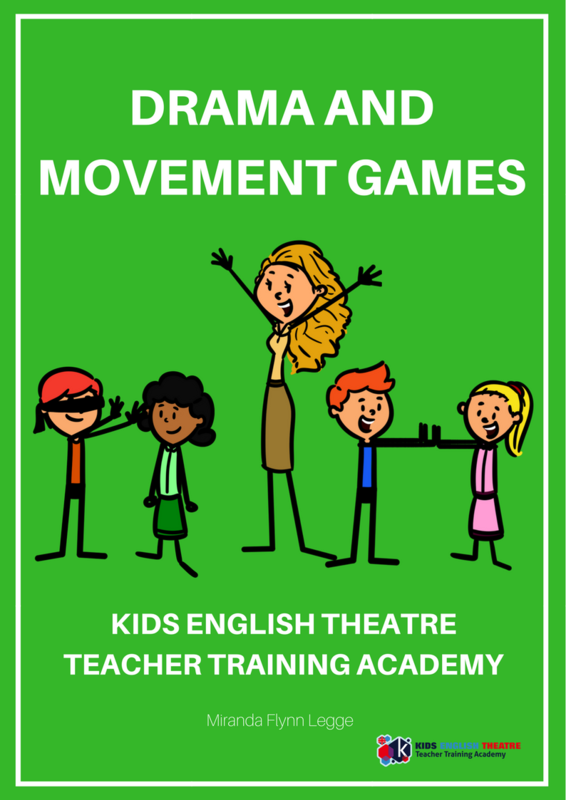 The ultimate ESL Drama teacher resource combines simple, practical theatre-based activities and creative movement games, aimed at energizing children and making sessions fun, exciting and above all, totally unique! Exercises are accompanied with “no-fuss” instructions and illustrations and have all been tried and tested hundreds of times. 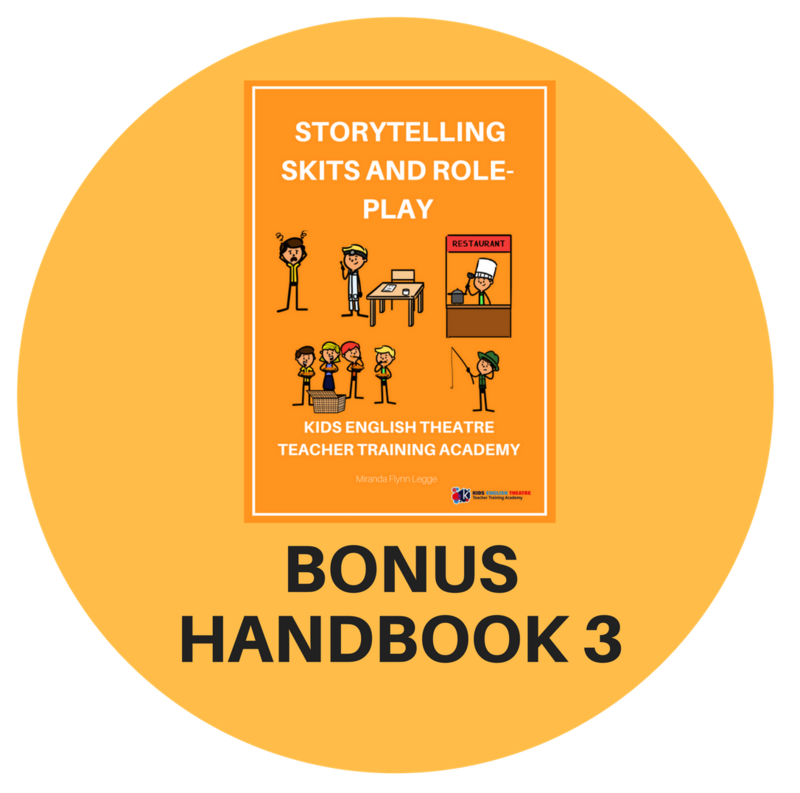 Top tips and suggestions on how to introduce stories and role-plays and transform them into entertaining, magical learning adventures. Also includes an essential guide to "putting on a show" and performing with children...stress-free! 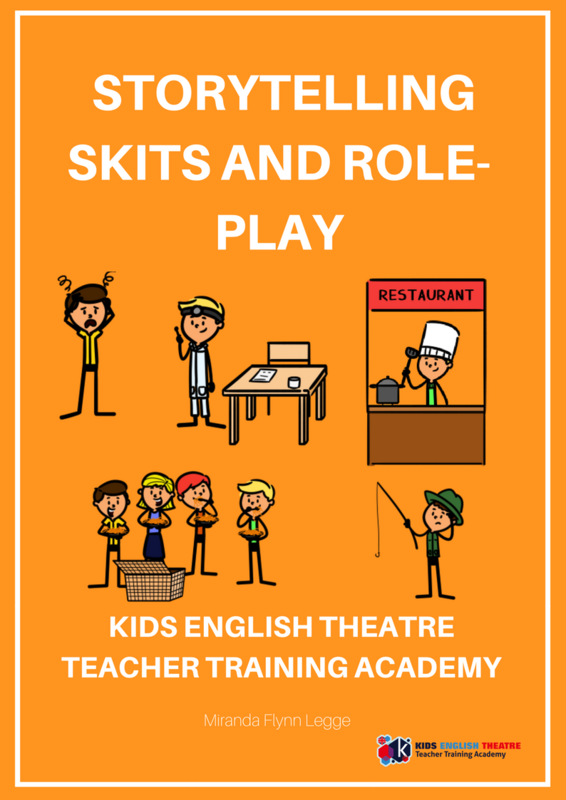 In addition there are “bite size” comedy classroom skits; simple and quick to prepare and ideal starters for teachers and students with no previous acting experience. 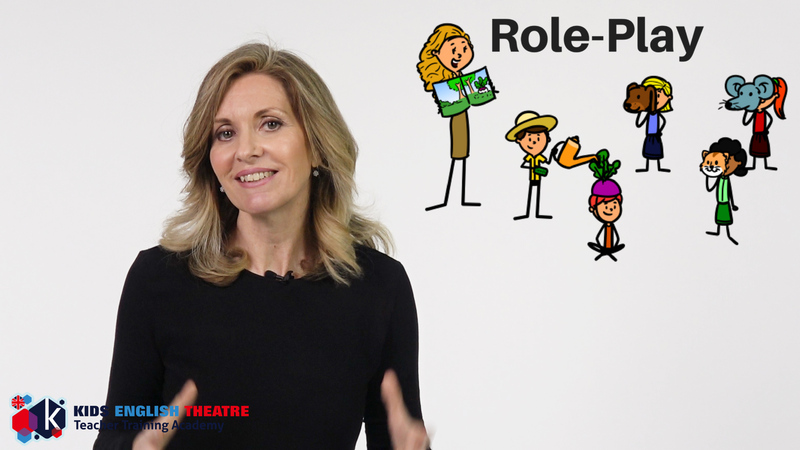 Do you need personal support on how to teach your young learners ESL theatre? 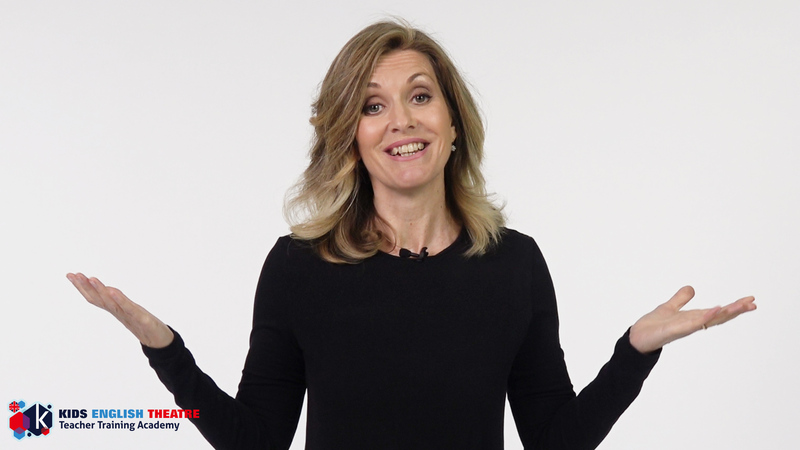 Look no further, included as an EXCLUSIVE BONUS, Miranda is here to share her know-how and coach you in the right direction. If you’re setting up new courses or already teach, Miranda will help you gain insight, save time and make your teaching efforts more effective. 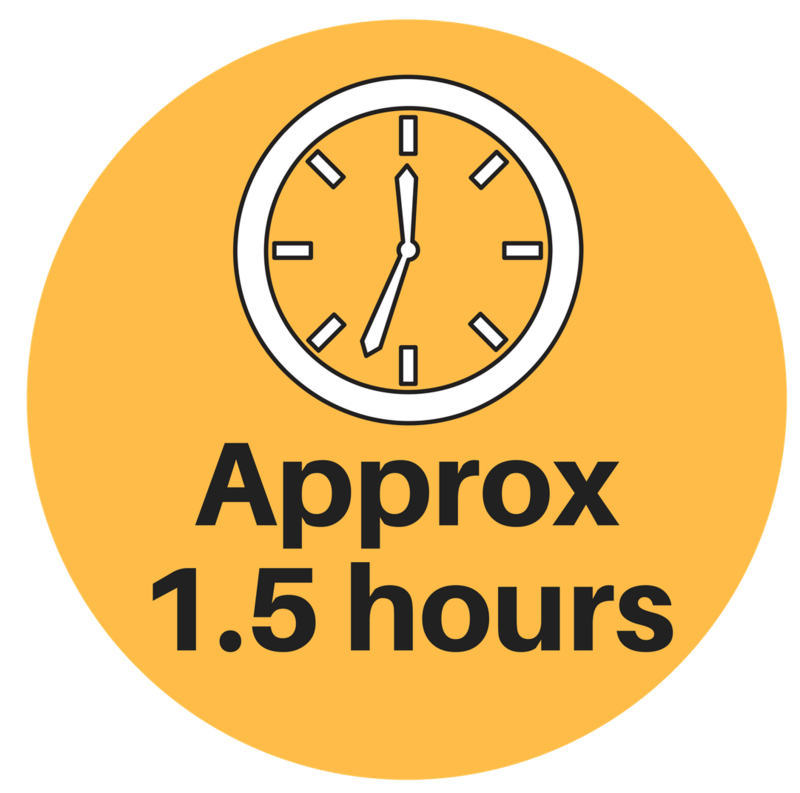 When you order the video course, Miranda will contact you to fix a date for your Half Hour One-to-One Consultation. All consultations are conducted via skype within 30 days of purchase.